It’s a week or so since the mid-term elections, and political enthusiast like me can get all excited at the best tech, tactics and approaches – here is a good list. 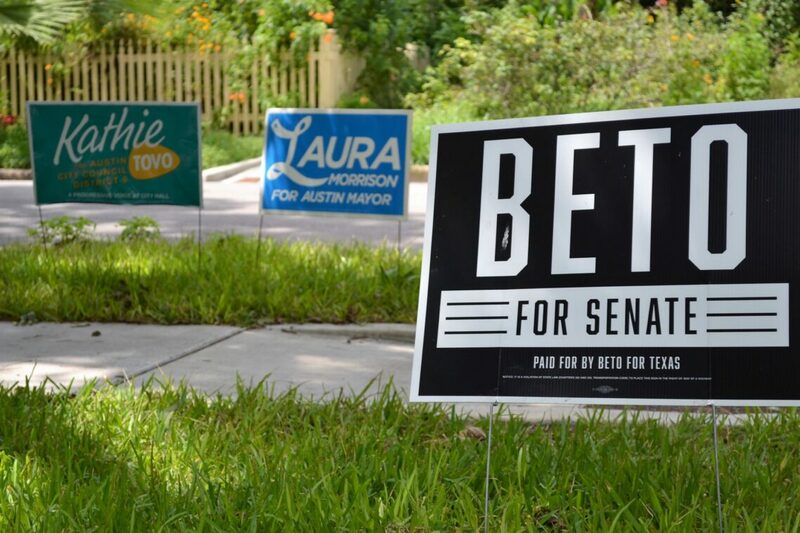 Of course, there is a world of difference between a multi-million dollar race to elect a new Senator and many of the single issue campaigns that most readers of this blog are working on. But as I’ve written before they can provide a useful place to spot a bunch of campaigning tactics and approaches that might make their way across the Atlantic. Peer-to-peer text messaging – Not new to the mid-term elections, as it was something that was talked about a lot after Bernie Sanders primary run in 2015, but the mid-terms have seen lots more campaign use platforms like Relay and Hustle, and while the law about permissions and sending text messages is different in the US (and at the same time the WhatsApp usage is lower), I still think there is something in how we engage with text that could mean its an underused tool. Potentially as much for engaging volunteers as supporters. Ted Fikes in his excellent Bright Idea email (sign up if you’ve not already) points to these findings from M+R, a US agency who used SMS heavily in the campaign to get volunteers involved. Connecting activists – MobilizeAmerica is described as ‘akin to the restaurant-reservation service OpenTable, but for shoe-leather politics: A candidate can post an event for knocking on doors, and interested supporters can snag a spot‘ during the election it was used by more than 400 campaigns and groups, and by Thursday, they had rounded up more than 254,000 volunteers who had visited, called or texted about 19 million voters. As you’d expect from something that’s funded by a bunch of tech startups it’s got a great user experience which was then made available to lots of candidates. It’s a really great reminder that if you can make it really easy for volunteers to find out how to get involved, and you’ve got the right issue then you can expect to get lots of people involved, plus the importance of sharing tech that is going to work. Facebook adverts – MoveOn.org might have a big budget, but this use of Facebook adverts is really smart – get 2,500 voters to record films on their phones, cut them as Facebook adverts, and then push those that are most effective. I really the way that they’ve thought about hyper-targeting, and also finding messengers who are going to relate with their target audience, and then being really data lead about it. Lots that campaigning organisations, especially where we’re looking to build support in a specific constituency, could learn from this. Building infrastructure – go back to 9th November 2016, the day after Trump won a bunch of people started to think about 2018, building infrastructure in the background that helped to secure wins. Two to mention – Run for Something actively encouraging people, especially those who’ve been historically underrepresented in politics, from standing for election – and then giving them loads of support, and Higher Ground Labs effectively acting as a venture capital fund come incubator to invest in smart tactics, platforms, and tech to help win. There is a lesson here for me in the importance of collectively doing the work to think about the wider infrastructure a movement needs rather than just leaving that to a specific campaign or political party. Debriefing – there is a whole circuit of debriefing and learning events happening this week – this is a good list of them and many of them are open as webinars. It’s a great principle to see people committed to sharing the lessons of what worked (and didn’t work) openly with others with the hope they’ll pick up the best practice or avoid the mistakes that have been made. Something for campaigning organisations to replicate in the UK after the next general election perhaps? Oh, and if you’ll indulge me for a moment. It’s really worth digging into some of the approaches the Beto O’Rourke campaign in Texas who got within 3% of winning took, including real and refreshing approach to transparency on outlining with his campaign plan online and a detailed statewide map of field organising goals and progress.